Life expectancy in the UK is on the rise, along with the rest of Europe, despite fears over the impact of obesity, a population expert has said. Analysing trends from the past 40 years, Professor David Leon credited a decline in deaths from heart disease for the continued rise. People in the UK are also living longer than those in the US, he says. His analysis is published in the International Journal of Epidemiology. Professor Leon, from the London School of Hygiene and Tropical Medicine, points out that in the last five years most European countries have been going in a “positive direction” for the first time in decades. Despite concern that health problems arising from obesity would affect life expectancy in high-income countries, such as the UK, there is no evidence of this to date. 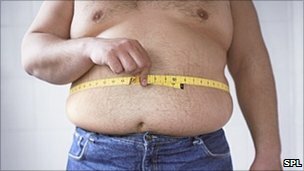 But he admits that it may to be too soon to see the impact of increasing obesity rates. “This is because of decreased rates of cardiovascular disease and concerted efforts to reduce risk and modify weight,” Professor Leon said. In 2007, the US was found to be at the same level for life expectancy as the lowest of any Western European country (Portugal for males and Denmark for females). Its life expectancy rate for women has been increasing at a much slower pace than Western Europe since the 1980s. Life expectancy in the US was 78 years in 2007, compared with 80 years in the UK. The latest figures from 2009 show that life expectancy in the UK is 82.6 years for women and 78.4 years for men.